At Black Cobra Tattoo Studio our goal is to provide our clients with the highest quality tattoos in a relaxed, friendly, and safe setting. We go out of the way to stay on the cutting edge of tattooing technology, from the equipment and pigments used, to the processes used to apply them. Whether you are looking for color or black and grey, traditional or new school, cartoons or photo-realism, cover-ups or reworks, we strive to make sure that you get the tattoo you want. Looking for the perfect one-size-fits-all gift? We’ve got you covered. Our $100 gift certificate is the perfect fit for that present that will last a lifetime. Just fill out the To: and From: and add it to the cart. We’ll personally sign the gift certificate and mail it to you. What could be easier? 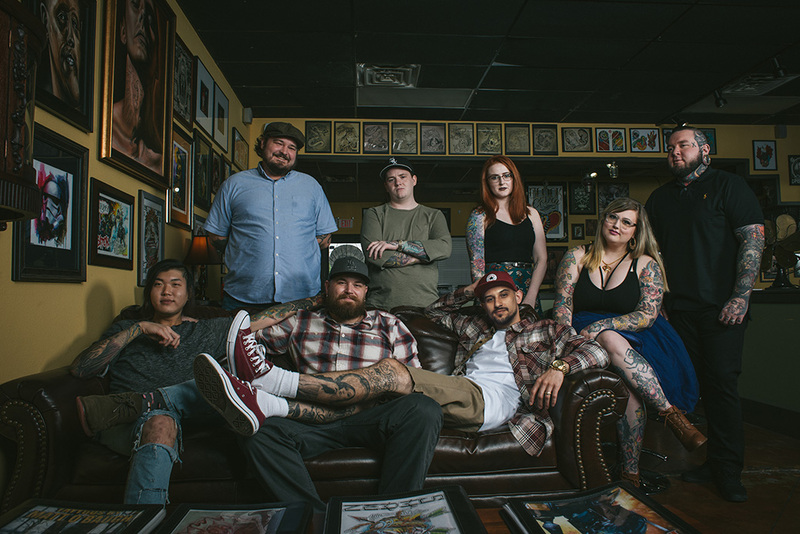 Learn more about Black Cobra, the studio and get information about your tattoo experience. Get to know the Black Cobra Team! Got a quick question? Just ask!